1.2 What Does Forex MT5 Brokers Offer? 1.4 Which Is The Best Trading Platform For Forex Traders? Governments, central banks, currency speculators, institutional investors, big banks, companies, and retail investors the world over converge to sell, buy, and exchange currencies. They form the foreign exchange or Forex market which is deemed as the most liquid financial market in the globe. Traders employ various strategies by using trading platforms that best suit their needs. The Metatrader 5 or MT5 is one of the latest platforms that is being used by traders. Developed by MetaQuotes Software Corp., the MT5 was released in 2010 as a follow-up to the highly successful Metatrader 4 or MT4. However, despite being an improved version of the MT4, the MT5 is still living in the shadows of its predecessor. One downside is that the programming languages of the MT4 and MT5 are not compatible. This means that the whole MetaQuotes Language 4 code has to be rewritten into the MetaQuotes Language 5 code if an MT4 user wishes to switch to MT5. This causes the refusal of some MT4 users to upgrade to the MT5. But a closer look into the MT5 will make one realize that it has many advantages. First of all, it has various new features that are still able to support the scripts, custom indicators, and expert advisors of the MT4. What Does Forex MT5 Brokers Offer? Forex MT5 Brokers are equipped with news events objects, a built-in market for trading products, and an improved strategy tester for expert advisors. It has a total of 82 tools such as technical indicators and graphic objects. 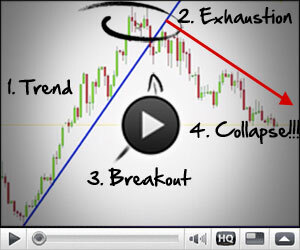 A trader can even open more than 100 charts with the MT5. In addition, the MT5 is not only limited to Forex. It also includes commodities, indices, stocks, and equity contract for difference (CFD). Clients are provided a more flexible environment because they are able to trade in stocks, options, and futures. The Forex brokers XTrade, XM, and HY Markets are just some of the brokers that offer the MT5. Additionally, the MT5 has two types of stop orders and six types of pending orders as opposed to the four types of pending orders of the MT4. The MT5 also has more chart time frames, graphical objects, extra technical indicators, and analytical objects over its precursor. A built-in economic calendar tab can also be found in Forex MT5 Brokers. The economic calendar tab helps with releasing previous data, market consensus, schedules, and levels of impact. The MT5 also has an agent manager for remote optimization. Which Is The Best Trading Platform For Forex Traders? It is with the hope that traders will consider using the MT5 for its many added features. While it is understandable that rewriting the MT4 programming language into the MT5 code is tedious, MetaQuotes Software Corp. Hopes that MT5 will still be given a chance. Traders who wish to try the MT5 can do so by setting up a demo account. Through this, traders are expected to experience the versatility offered by Forex MT5 Brokers. The MT5 provides added opportunities for traders to execute more transactions and earn more money. Assertive and motivated traders can utilize the several extra features and numerous options available for a more profitable trading experience. The MT5 can even give access to plentiful trading platforms worldwide. With all these improvements, the MT5 is a great alternative and is definitely worth a try.